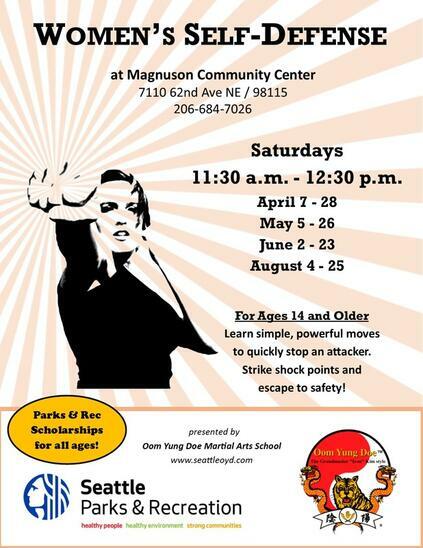 A neighbor would like to share that Magnuson Community is offering ongoing women's self defense classes for 14 years and older. The class is 11:30-12:30pm starting Saturday through the month, and another series starting May, June and August. Learn simple, powerful moves to quickly stop an attacker and protect yourself through self-defense classes,. Strike shock points and escape to safety! The class is instructed by Oom Yung Doe Martial Arts School. For more information call 206-684-7026.